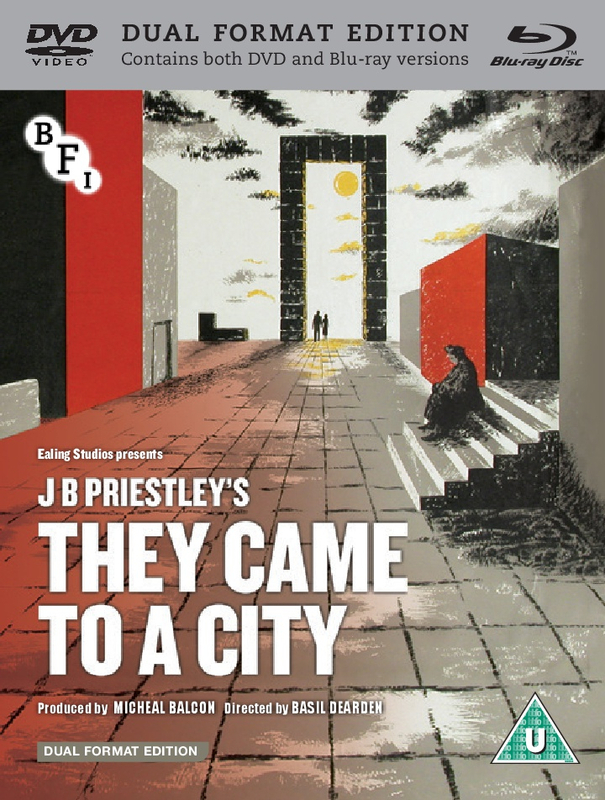 A rarely seen classic of British cinema, Ealing Studios’ They Came to a City was directed by Basil Dearden (The Captive Heart, Victim) and stars John Clements, Googie Withers and Raymond Huntley. A fantastical allegory from the pen of J B Priestley, this most unusual of Ealing’s features has long been hard to see. Now available home on Blu-ray/DVD in a Dual Format Edition, in a new 2K transfer from the best surviving 35mm element. Special features include complementary films preserved in the BFI National Archive and an audio NFT Lecture by producer Michael Balcon from 1969. Nine disparate Britons are transported to a mysterious city where, according to their class and disposition, they find themselves either in an earthly paradise of peace and equality or a hell starved of ambition and riches. This fantastical allegory is a striking expression of post-war utopian impulses and among Ealing’s most unusual features.